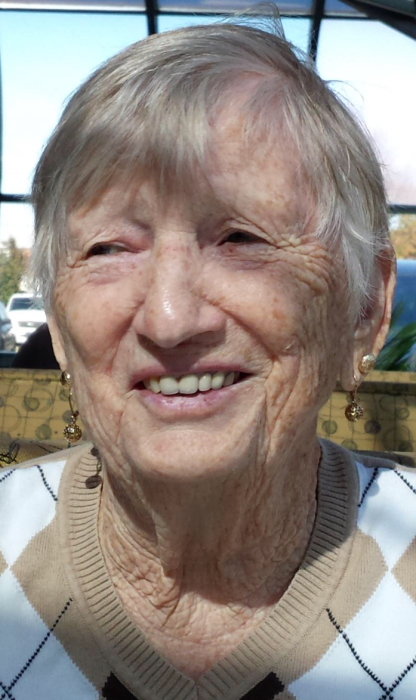 Hagerstown, MD – Phyllis Aleda “The Fudge Lady” Rickard, 93, of Hagerstown, MD passed away on Tuesday, March 19, 2019 at Doey’s House Hagerstown, MD. She was born on October 21, 1925 in Hagerstown, MD to the late Herman Betts and Florence Rinehart Murray Mayhugh. She was predeceased by her husband, Clyde Kenneth Rickard in 2016. She was a Homemaker. She also worked as a Crossing Guard for Washington County Public Schools and at Fairchild Aircrafts during World War II. Phyllis was a member of St. John’s Lutheran Church S. Potomac St. Hagerstown, MD. She is survived by her daughter Donna M. Shoop of Hagerstown, MD; grandchildren Gary Ellis of Maugansville, MD, Michael Shoop of Hagerstown, MD, and David Shoop of Hagerstown, MD; great grandsons Steven Ellis of Hagerstown, MD, Devan Shoop of Hagerstown, MD, and David Shoop of Hagerstown, MD. She was predeceased by her daughter Pamela J. Ellis. Private graveside services were held at Rose Hill Cemetery Hagerstown, MD.